Everyone has a place that works for them, and no matter how many trips are made, it just is never enough. Just the thought of Goa used to get me excited, but this trip I took earlier this month has changed that. Now, that place for me is Gokarna. A dreamy beach/temple town on the south-western coast of India that people know little about, be ready to be amazed once you catch a glimpse of it. Gokarna beaches are less crowded, less commercial and less dirty than North Goa and in my honest opinion more beautiful than the Goan beaches. Aren’t these simply enough to make this your next beach-side vacation destination? A small town in Karnataka, the name Gokarna is a combination of two words in Sanskrit: Go = Cow and Karna = Ear. Gokarna is both a religious town and a hippie/lively destination- a great combo that any traveller would love to explore. It’s 150 km from South Goa or 210 km from Mangalore. We rented a Zoomcar (use code NjA0MzU5 to make your first booking and get 20% off) from Mangalore and thus enfolded a beautiful road trip. We stayed at Hotel Gokarna International, the one right in the middle of the town. It was a very average hotel and we had to stay here as the shacks were all booked. The five famous in this beach town of Gokarna are in the order of popularity. Om Beach, Kudle Beach, Gokarna Beach, Paradise Beach and Half Moon Beach. There is another one a little far away from Paradise called the Nirvana Beach which eventually merges with the Arabian Sea. Also Read: South India: Did you know this about Pondicherry? Here is where the crowd is. 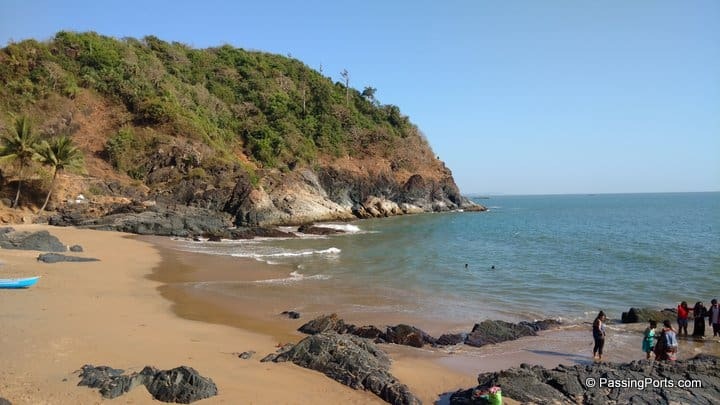 Om Beach is the most crowded beach of Gokarna during peak seasons. The outline of this beach is shaped like the Om symbol and hence the name. 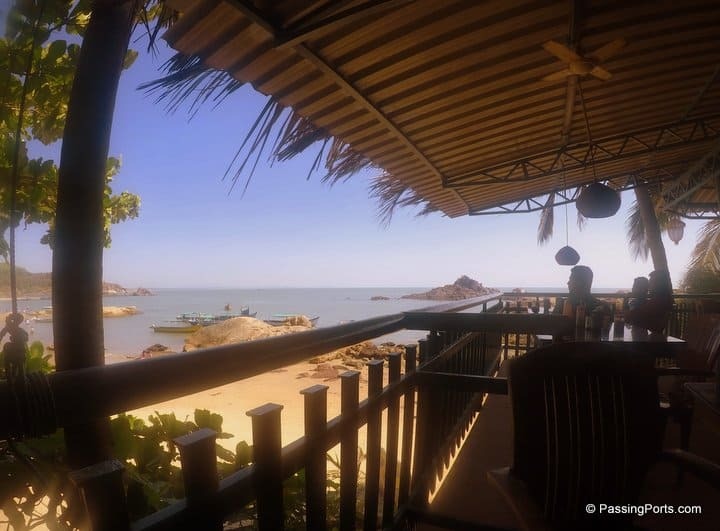 Namaste Café is a good place to hang out and gaze at the beautiful landscape this beach offers. I would suggest finding a spot near Dolphin Café to witness the sunset. You can enjoy the water sport activities and explore the sea on a boat. We rented a boat from here to visit Half Moon and Paradise Beach. This was one of my favorites as it is a long stretch with many shacks and eateries. This is one beach that will suit the mood of any traveller. We went twice to this beach, post 1800hrs and just chilled till late night. Our dinner was at the Rock Namaste Cafe on the first night and Little Paradise Inn on the second. We loved the food served in both the places. In terms of pricing, Rock Namaste Cafe was a little less expensive than the other. Most of the restaurants have their own shacks. If you would like to stay in a shack, do make sure to get there before noon. 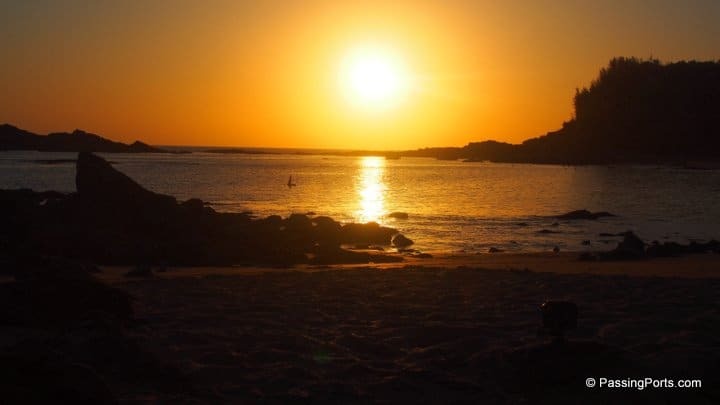 The best way to enjoy Kudle Beach is to take a dip, open that beach mat of yours, lie down under the stars and enjoy life. This is close to the Temple of Shree Mahabaleswara. Once you pay a visit to Shree Mahaganapati Temple and Shree Mahabaleshwara (Shiva Temple), you can walk from there to soak your feet in the waters. Like many other temple beaches, you will find a lot of people who are on their pilgrimage tour here. You can either trek to all the beaches of Gokarna from Kudle Beach or take a boat from Om beach to Half Moon Beach and Paradise beach. The boat ride was exciting and if you are lucky, you will be able to spot dolphins like we did. They were too far away, and we didn’t have the right equipment with us to capture them. Also, don’t miss the lighthouse between Half Moon and Paradise beach. These two beaches are what I would call a “Nomad’s Beach”. There are no restaurants in both Half Moon Beach and Paradise beach and not many people as well. I guess that’s what makes these two so exciting and attractive. Lots of wanderers stay in Paradise beach as it’s a little bigger than Half Moon and there is plenty of places for you to set your tent and make it your home. No, I was not talking about Murudeshwar as many know this beautiful destination already. 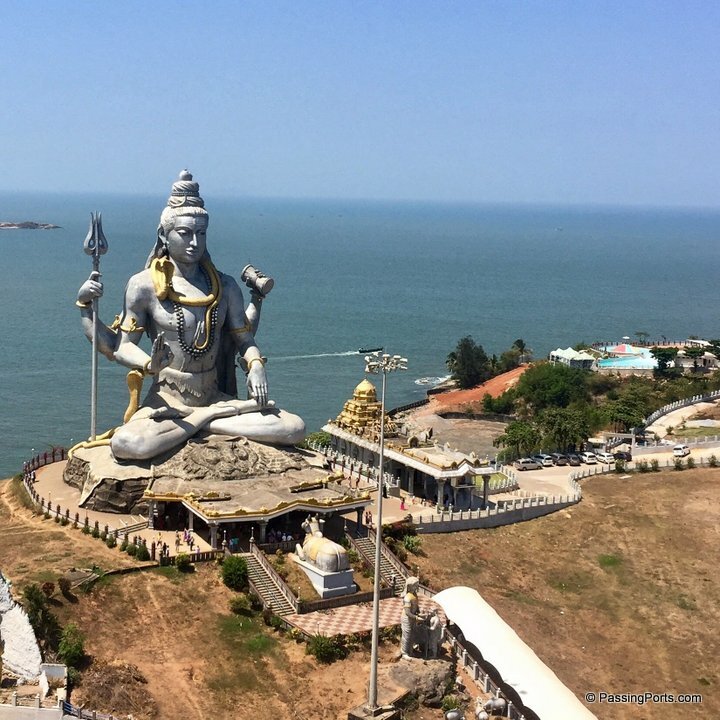 For the ones who don’t, this is a small temple town with something for adventure enthusiasts as well, a town where you can find a huge Shiva Statue with the backdrop of the Arabian Sea. For the adventurous, you can take a dip in the ocean or take the boat to Netrani Island for scuba diving. But the one that I recommend when someone visits Gokarna is the Mirjan Fort. It is right off the highway between Gokarna and Murudeshwar. Not many know about this fort, perhaps because of its small size. Nevertheless, during my recent trip, I wanted to go here and see what this place had in store. According to a retired army jawan who is in charge of the Mirjan Fort, a queen of the Vijayanagara Empire lived here for more than 50 years. Then it was in the hands of the Bijapur nobles. This fort was used for storage of spices and other food items, especially pepper. There are various other versions of this story, but this seems to be the most prominent. The jawan was quite happy that we went in, but he did warn us that photography inside this beautiful property wasn’t allowed. Quite unfair, since it is beautiful and maintained well, but we complied. 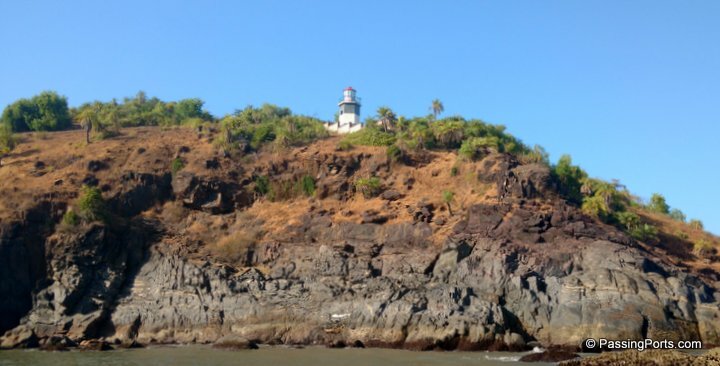 Have you been to Gokarna? How was your experience?